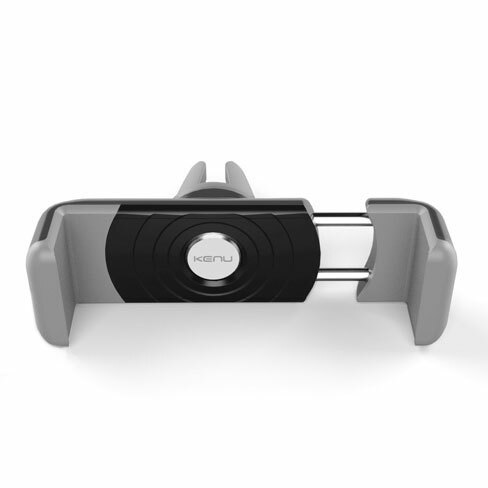 The world's most portable car mount for smartphones, attaching to any air vent and weighing only 23g makes The Kenu Airframe in black perfect for everyday use. 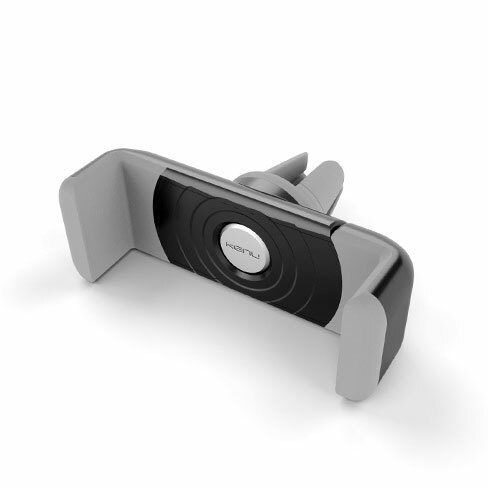 This is the second Kenu Airframe portable adjustable phone mount I've bought because I found the first one great to use. 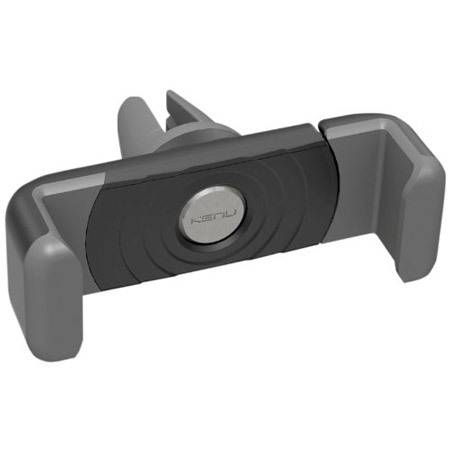 I've tried several gadgets for this purpose, none of which have really been any good, useless suction caps that fall off while you're driving etc. 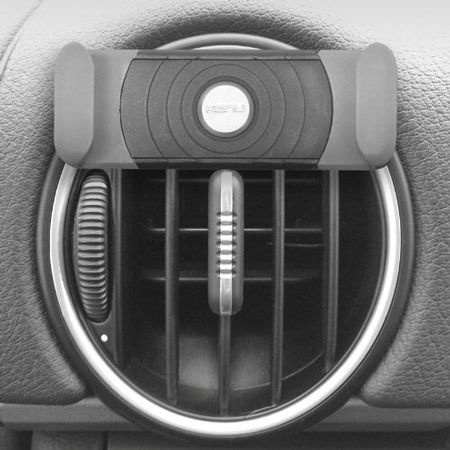 This one holds the phone secure even with the outer case on, and doesn't seem to interfere with the airflow from the vent..........well satisfied. 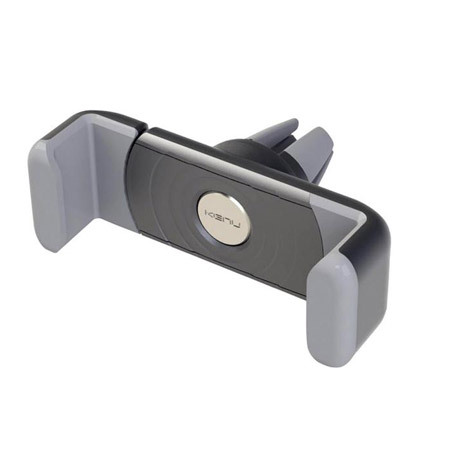 I found that the mobile phone holder that I had on my last car didn't fit properly in my new car so I ordered this one and it fits no problem and is very sturdy in the vertical position with the weight of the iPhone on it excellent. 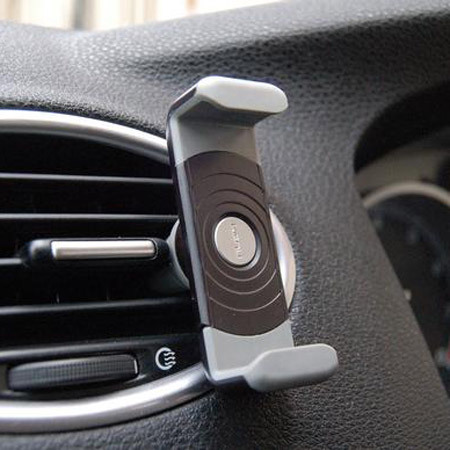 With Airframe's patent-pending rotating clip, it can mount to any type of car air vent - horizontal, vertical and angled. 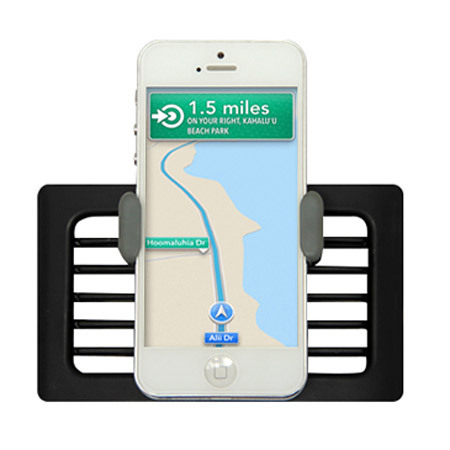 Airframe's simple, yet highly functional design does not require any suction cups, adhesives, magnets or special cases. 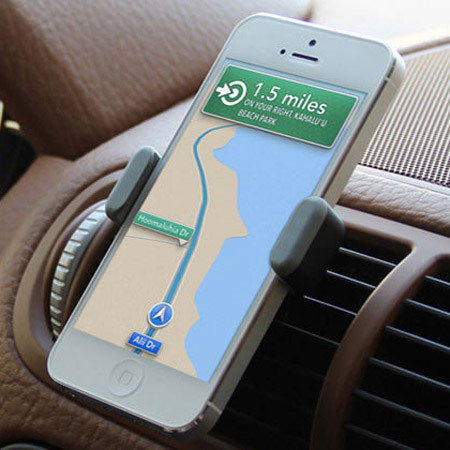 Kenu's Airframe mount fits most smartphones. Due to the spring loaded stainless steel mechanism and elastomer grips, it can securely fit all smartphones which have screen size of up to 5". 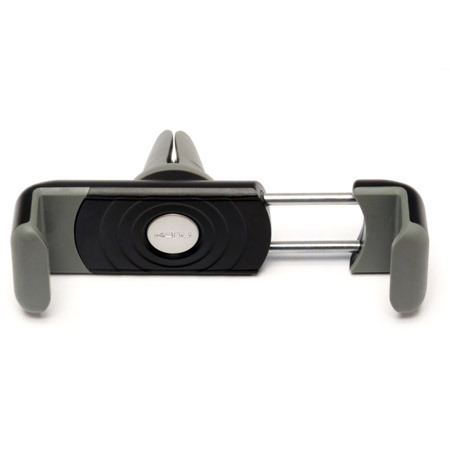 Airframe allows easy access to audio cables and power cords. Airframe weighs only 23g and is small enough to fit in your pocket, making it perfect for everyday use as well as holidays and business trips. 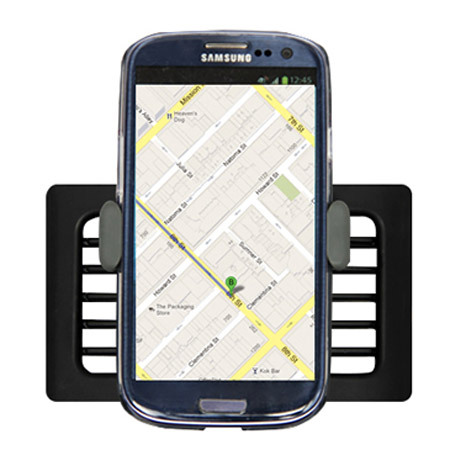 Airframe's spring loaded expandable jaw securely holds most smartphones (up to 5" screens). 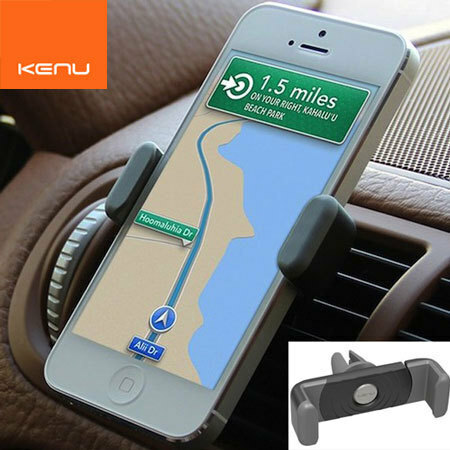 Note: We also stock the Kenu Airframe+ for smartphones with a screen size larger than 5". 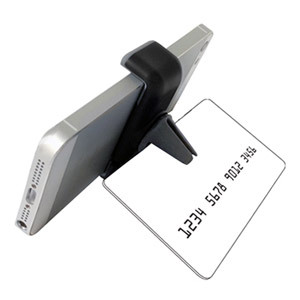 Insert any card from your wallet or purse into the rotating clip and Airframe transforms into a hands-free stand. 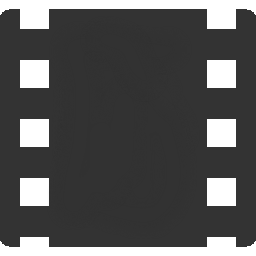 Airframe works in both portrait and landscape formats, making it perfect for watching videos or playing games on flights and train journeys.